Raise your voice, even if the naysayers are loud and numerous. Fight for your vision, even if you stand alone. Could you answer your calling? Could you see your mission through? Could you change the world? 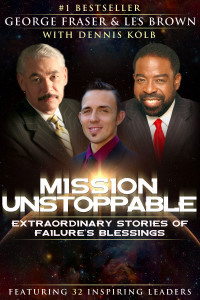 In the pages of their new book, Mission Unstoppable, renowned visionaries Les Brown and Dr. George Fraser team up with more than two dozen successful business leaders to give you the courage, inspiration and knowledge you need to complete the mission you were born to fulfill. In their true stories of faith and persistence, the Mission Unstoppable authors reveal how they found their calling and stayed the course, regardless of circumstance, crisis or other challenges. If you have a dream, a mission, or a goal that at times seems impossible to realize, Mission Unstoppable is the book that will help you achieve it. The world is waiting. To secure your own copy contact us and we will send you an autographed copy. 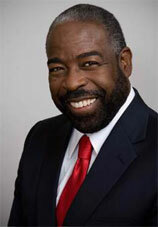 One of the world's most renowned motivational speakers, Les Brown is a leading authority on achievement, energizing audiences as large as 80,000 to step beyond their limitations and into their greatness. Mistakenly labeled "educable mentally retarded" in elementary school, Brown would eventually rise above his position as a sanitation worker to become a broadcast station manager, political commentator and a multi-term State Representative in Ohio. Addressing audiences from Denmark to Dubai, from Canada to the Caribbean, Brown received the National Speakers Association's coveted Council of Peers Award of Excellence (CPAE) and the Golden Gavel Award for achievement and leadership in communication, and was voted one of the Top Five Outstanding Speakers by Toastmasters International. Winner of a Chicago-area Emmy® for his unsurpassed fundraising pledge drive for PBS (Public Broadcasting System), Brown is the author of It's Not Over Until You Win: How to Become the Person You Want to Be-No Matter What the Obstacle, Up Thoughts for Down Times, and co-authored Fight for Your Dreams and Mastering the Art of Success. Named one of the "Top 50 Power Brokers in Black America" by UPSCALE Magazine, Dr. George Fraser is one of the foremost authorities on economic development, networking and building effective relationships. Growing up on the streets of New York with little hope and vision for the future, Dr. Fraser defied expectations and paid his way through Dartmouth College mopping floors on the midnight shift at LaGuardia Airport. He was later awarded an Honorary Doctorate Degree of Humane Letters from Jarvis Christian College. Dr. Fraser is the author of four critically acclaimed books, including Success Runs In Our Race: Complete Guide to Effective Networking in the African American Community and Race For Success: The Ten Best Business Opportunities for Blacks In America. 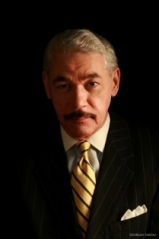 He is also the publisher of the award-winning SuccessGuide Worldwide: The Networking Guide to Black Resources. Chairman and CEO of Frasernet, Inc., Dr. Fraser is the founder of the annual PowerNetworking Conference, where thousands of Black professionals, business owners, and community leaders gather to learn the art and science of networking, entrepreneurship and wealth creation. 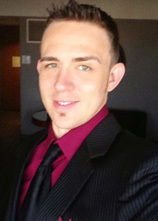 Dennis Kolb was raised by a single parent mother through poverty, just before high-school graduation he was diagnosed with cancer (Leukemia) facing overwhelming odds he survived going on to become a major contributor to motivating, inspiring and bringing independence to those less fortunate. He knows the struggle of fighting for life with no resources, is well educated on staying optimistic when the odds are down and very creative at building new futures when the rest of the world seems to be falling apart all around. Dependant on welfare most of his life, he knows exactly what steps to take to legally claim your life back! "If you are fortunate, at some point you have or will meet a person who has a profound impact on your life. Sometimes it’s a parent or a sibling, maybe a friend, or even a chance meeting. Watch my video to find out about who that person is for me."